The Ministry of Tourism is currently in the process of formulating a National Tourism Policy 2015 with the aim of positioning India as a “Must See” destination for global travellers, encouraging Indians to explore their own country and realising the potential of tourism as a major engine for economic growth, employment generation and poverty alleviation in a responsible framework. One of the suggestions received for the Policy includes the setting up of a National Tourism Authority/Board. 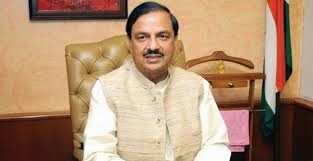 This information was given by the Union Minister of Culture (Independent Charge), Tourism (Independent Charge) and Civil Aviation, Dr. Mahesh Sharma in reply to an unstarred question in the Rajya Sabha today. As per the Report of the ‘Working Group on Tourism’ for the 12th Plan Five Year Plan (2012-17) set up by the Planning Commission, for a projected annual growth of 12% in Foreign Tourist Arrivals, the requirement of additional hotel rooms under classified category in 2016 over 2010 is estimated to be 1,90,108 hotel rooms. As per the records available, some countries like Brazil and New Zealand have contribution of tourism sector in GDP of about 8.6% and 8.7% respectively. However, contribution of tourism sector in total GDP of India is better than some of the countries like Canada, South Africa, Indonesia and Australia. As per the 2nd Tourism Satellite Account of India (TSA) 2009-10 and subsequent estimation, the contribution of tourism to total Gross Domestic Product (GDP) during the years 2011-12 and 2012-13 were 6.76% and 6.88% respectively. In its efforts to engage with private sector for Clean Ganga Mission the National Mission for Clean Ganga (NMCG) held a day long discussion with service providers/manufacturers representing conventional waste water treatment technologies as well as various innovative technologies such as multi-storied, cascade, modular, pre-fabricated, compact and decentralized waste water treatment plants in the national capital on Tuesday. The conference provided an opportunity for fruitful interaction with private sector entrepreneurs for pilots /demonstration projects, benchmarking of cost (both capital & O & M) and possibility of taking up such projects in SPV/ PPP mode and under CSR activities. Inaugurating the conference the Union Minister for Water Resources, River Development and Ganga Rejuvenation Sushri Uma Bharti emphasized on sustainable partnership initiative for achieving a long-lasting solution to the challenging task of cleaning River Ganga. She said “with the sustained efforts and inclusive partnership, we can achieve the ambitious task of Ganga Rejuvenation and set an example for other Rivers in the country and abroad”. She highlighted the importance of having efficient innovative technologies for managing the municipal sewage, industrial effluents, river surface pollution and other forms of pollution. Shri TVSN Prasad, Mission Director, National Mission for Clean Ganga (NMCG) in his address announced a ‘Pilot Facilitation Initiative’ for no cost/no commitment where firms can come forward to support the Ganga rejuvenation mission through incubating a pilot and NMCG can provide local facilitation. He said NMCG is open to all forms of innovative and best technologies and mentioned that competitive bidding process will be followed to bring a proven technology on commercial basis. He also suggested that follow-up conferences that can be conducted on quarterly basis to ensure transparency in the system and enable a continuous information exchange on technology innovations. NMCG, the project implementation wing of National Ganga River Basin Authority (NGRBA) under the aegis of Ministry of Water Resources, River Development and Ganga Rejuvenation, organised the day long market Conference for National and International Manufacturers/Technology providers/Service providers/ Infrastructure providers for installing/operating of Municipal Sewage Treatment Plants / Industrial Effluent Treatment Plants /Common Wastewater Treatment Plants on a turnkey/ Design-Build-Operate and Transfer (DBOT) basis. About 350 delegates representing more than 250 companies from India and abroad attended the conference. The conference was interactive in nature where representatives of private sector firms were encouraged to discuss on the experience and available technologies for reuse and recycling of wastewater, bioremediation technologies, use of digestive sludge as a manure , PPP model, River Surface Cleaning Machines, Aerators, etc. Ministry of Women and Child Development (MWCD), has formulated a Centrally Sponsored Scheme for setting up One Stop Centres (OSC), to be funded from the Nirbhaya Fund. These Centres will be established across the country to provide integrated support and assistance under one roof to women affected by violence, both in private and public spaces in a phased manner. In the first phase, one OSC will initially be established in each State/UT to facilitate access to an integrated range of services including medical, legal, and psychological support.The OSC will be integrated with 181 and other existing helplines. The scheme is being implemented through States/UTs from 1st April 2015. For the implementation of the Scheme, guidelines have been developed to support stakeholders/agencies who would be involved in implementing the Scheme, as well as State, district and grassroot level functionaries. The guidelines are intended to serve as a reference manual for officials at the National and State/ Union Territory (UT) levels for policy guidance and monitoring. The guidelines list the services to be provided under the Scheme, steps and processes/procedures such as monitoring mechanism at various levels, fund flow, reporting, standard operating procedures for handholding of women at OSC etc. The guidelines also highlight the roles and responsibilities of various line departments. It provides monitoring and reporting formats to be used at different levels. The guidelines are not exhaustive and the feedback received from States/UTs from time to time will be incorporated as per requirements. The PAB shall be the final authority for accepting, reviewing, and sanctioning of proposals for assistance under the scheme. The Minister of State (Independent Charge) for Youth Affairs and Sports Shri Sarbananda Sonowal has said that the Government has not taken any decision on whether India should bid for 2024 Olympics. All requisite steps related to the bid before the deadline will be taken only if a decision is taken to the effect that India should bid for 2024 Olympics. In a written reply in the Rajya Sabha today Shri Sonowal said, the 18th Asian Games 2018 was initially awarded to Hanoi, Vietnam by Olympic Council of Asia (OCA). However, due to financial constraints, the Government of Vietnam announced its withdrawal from hosting the 2018 Asian Games. After the withdrawal, the OCA had stated that Indonesia, China and the United Arab Emirates are candidates for the replacement of Hanoi. The last date for submission of bids by the concerned National Olympic Committees to OCA was 7-7-2014. Indian Olympic Association (IOA) had also expressed interest in India hosting 18th Asian Games 2018 and sought the in principle approval of the Government for the same. Since the IOA had not submitted the requisite details before the deadline, the Ministry did not give its permission. 18th Asian Games 2018 has been awarded to Indonesia by OCA. · To create seamless integration between the competition structure right from the panchayat level through to the national level in order to facilitate exponential growth in the number of high performing sportspersons. In a written reply in the Rajya Sabha today Shri Sonowal said, the PYKKA Scheme has by and large achieved its targets. However, the scheme was revisited and renamed as Rajiv Gandhi Khel Abhiyan (RGKA) with effect from 01.04.2014. 67931 panchayats (65943 village panchayats and 1988 block panchayat) have been covered under the PYKKA Scheme. The PYKKA Scheme did not envisage imparting of training to the youth. However, 27,280 Kridashrees (sports volunteers) have been trained under the scheme, Shri Sonowal added. The Minister of State (Independent Charge) for Youth Affairs and Sports Shri Sarbananda Sonowal has said that high priority category has been created to put focus on and incentivize those sports disciplines played in the Olympics in which India has won medals in the last conducted Asian Games as well as Commonwealth Games or in which India has good chance of winning medals in Olympics. In a written reply in the Rajya Sabha today Shri Sonowal said, the nine high priority disciplines are (i) Athletics, (ii) Badminton (iii) Hockey (iv) Shooting (v) Tennis (vi) Weightlifting (vii) Wrestling, (viii) Archery and (ix) Boxing. The Minister of State (Independent Charge) for Youth Affairs and Sports Shri Sarbananda Sonowal has said that under the administrative control of Ministry of Youth Affairs and Sports, there are three Institutes viz. Lakshmibai National Institute of Physical Education, Gwalior (Deemed to be University) with a North Eastern Regional Centre, at Guwahati and Lakshmibai National College of Physical Education, Thiruvanthapuram and Netaji Subhash National Institute of Sports, Patiala along with its courses being offered at Bangalore and Kolkata Centres of Sports Authority of India (SAI). The Ministry of Youth Affairs and Sports does not maintain data about the State Government run or privately managed sports universities / colleges / schools imparting physical and sports education in the country. In a written reply in the Rajya Sabha today Shri Sonowal said, there is a proposal for setting up of a National Sports University (NSU) in Manipur. The proposed location for setting up of the University is at 44-Yaithibi Khunou, Thoubal district of Manipur. A provision of Rs. 50.00 crores has been made in the Budget for Financial year 2015-16 for the purpose. About 200 acres of land will be required for setting up of the university which has been identified by the State Government. The project is proposed to be completed in five years. The NSU at Manipur is in the conceptual stage. The Minister said, it is also proposed to set up National Sports Academies for seniors and juniors at various places in the country to nurture sports talent spotted through the National Sports Talent Search Scheme (NSTSS) and other sources. The scheme is in the conceptual stage. i. The President of any recognized NSFs, including the Indian Olympic Association (IOA) can hold the office for a maximum period of twelve years with or without break. ii. The Secretary (or by whatever other designation such as Secretary General or General Secretary by which he is referred to) and the Treasurer of any recognized NSF, including the IOA, may serve a maximum of two successive terms of four years each after which a minimum cooling off period of four years will apply to seek fresh election to either post. iii. The President, the Secretary and the Treasurer of any recognized NSF, including the IOA, shall cease to hold that post on attaining the age of 70 years. iv. Government on 26.2.2015 has issued instructions to all the NSFs to place on their website, various details of the international events held in India and abroad such as notification of selection criteria for such events well in advance along with the details of time and venue for selection, list of core probables and basis of their selection, details of coaching camps organized including venue, dates and list of participants, list of the athletes selected, performance criteria which formed the basis of selection, actual performance in terms of timing, distance, etc. and the position obtained by each athlete/team etc. In a written reply in the Rajya Sabha today Shri Sonowal said, under the Scheme of Assistance to NSFs, financial assistance to the tune of Rs.2.00 lakhs is given for organizing one National level championship in a year for ‘high priority’ and ‘priority’ sports disciplines for Senior (Men & Women), Junior & Sub-junior (Boys & Girls). In addition, financial assistance is also provided for holding zonal championship @ Rs.1.00 lakh subject to a maximum of six zonal championships in a year for Senior category (Men & Women). In case the championships are held separately for men and women, 50% of the admissible grant is given for each category. In addition, upto Rs.10 lakhs is also given to the eligible NSFs for holding international events in India. Financial assistance is also given for participation in the events held abroad as per the provisions under the Scheme of Assistance to NSFs. The NSFs are also required to submit their accounts duly audited by the Chartered Accountants in the panel of Comptroller and Auditor General of India. Accounts of the Federations receiving grant of more than Rs.1.00 crore in a year are audited by the Comptroller and Auditor General of India, the Minister added. The Minister of State (Independent Charge) for Youth Affairs and Sports Shri Sarbananda Sonowal has said that the Ministry of Youth Affairs & Sports had proposed a new comprehensive National Sports Policy in 2007-08, the draft of which was discussed with all stake holders viz, State Governments, Indian Olympic Association (IOA), National Sports Federations, eminent sportspersons and sports administrators. In a written reply in the Rajya Sabha today Shri Sonowal said, after careful consideration of the whole matter and in view of the new initiatives taken by way of introduction of the Scheme of PanchayatYuva Krida aur Khel Abhiyan (PYKKA) in 2008, which has since been revised as Rajiv Gandhi Khel Abhiyan (RGKA) in 2014, for broad-basing of sports in the country, the Government decided that the existing National Sports Policy 2001 is sufficient to achieve the goals of both mass participation in sports and promotion of excellence in sports and decided to withdraw the draft comprehensive National Sports Policy. Accordingly, the policy was withdrawn with the approval of the Cabinet. At present, the National Sports Policy, 2001 is in existence, which among other objectives have two main objectives viz, promotion of excellence in sports and broad-basing of sports. The schemes of the Department of Sports and Sports Authority of India are aim at achievement of these twin objectives. State Governments are actively associated in the implementation of the Schemes pertaining to them. National Sports Federations recognized by the Ministry are given financial assistance towards conduct of national championships, organizing coaching camps, participation in international tournaments abroad and conduct of international tournaments in India, etc. under the Scheme of Assistance to NSFs. In several sports disciplines including shooting, wrestling, badminton and boxing, India has performed well by winning medals in major international events. (vii) to do all other things which are incidental to the above objectives. (i) Assistance to sportspersons living in indigent circumstances: A lumpsum ex-gratia financial assistance may be granted to an outstanding sportsperson now living in indigent circumstances, subject to a maximum of Rs. 5 lakh. (b) in case of sustaining injury other than a fatal injury, subject to a maximum of Rs.2.00 lakh provided that the assistance shall in no case be less than Rs.10,000/-. (iii) Assistance to Families of Outstanding Sportspersons: A lumpsum financial assistance, not exceeding Rs. 2.00 lakh in each case, may also be provided to the families of outstanding sportspersons in indigent circumstances. (iv) Assistance for Medical Treatment: Financial assistance not exceeding Rs. 2.00 lakh may also be provided for medical treatment of an outstanding sportsperson in indigent circumstances. (v) Assistance to Sports Promoters: Lumpsum financial assistance, not exceeding Rs. 50,000/- may be provided to referees, coaches and umpires, who were eminent, but are not well off and are in indigent circumstances. (vi) Discretionary powers to the Chairperson: The Chairperson may sanction the assistance in deserving cases even to those who, technically, are non-eligible, depending upon the facts and circumstances of each case. The Chairperson will have the discretion to decide the quantum of assistance. Ministry of Youth affairs and sports has for the first time organized a mental training camp for archers in India through the Sports Authority of India under the guidance of a trainer from renowned institute Johnson and Johnson Human Performance Institute, Florida USA. The 5 day camp by Shri Lorenzo Beltrame provided mental training to 16 athletes of archery keeping in view Olympics 2016 and 2020. Many a times in the past it was observed that Indian athletes get past the qualifying rounds but buckle under pressure at the time of advanced stages of the competitions at International level. One of the main issues to be addressed in this regard is to improve the mental toughness of the athletes. The training camp was a step forward in that direction. The training for athletes was for 5 days from 20.4.15 to 24.5.15 at JLN stadium New Delhi and comprised of sessions for collective as well as individual one to one sessions. It was followed by 3 days training of 4 coaches and 6 Sports Psychologists from 27th to 29th April, 2015 so that they could continue with the mental training of the said athletes in the run up to the Olympics 2016. Shri Lorenzo Beltrame will also conduct one online session with athletes of the said camp from USA as a follow up. A detailed report has been sought from Shri Lorenzo Beltrame on the training so that a focused short term approach can be taken for each elite athlete for 2016 Olympics and a road map for long term approach may be prepared for emerging athletes for 2020 Olympics. The Ministry may also consider some more follow up sessions for the athletes with the said institute. The mental training camp was funded from the National Sports Development Fund of the Ministry of Youth Affairs & Sports. The estimated cost is Rs.22.5 lakh. The steps taken by the Ministry of Tourism to boost tourism in the country include new schemes like Swadesh Darshan &Prasad; E-Tourist Visa; measures to ensure safety of women tourists; Swachh Bharat Swachh Smarak Campaign and Publicity and Promotion among others. Minimum Support Price (MSP) declared by the Govt. (Rs./Kg). As per clause 2 (i) of the “Scheduled Tribes and Other Traditional Forest Dwellers (Recognition of Forest Rights) Act2006, “minor forest produce” includes all non-timber forest produce of plant origin including bamboo, brush wood, stumps, cane, tussar, cocoons, honey, wax, lac, tendu or kendu leaves, medicinal plants and herbs, roots, tubers and the likes. The Minister of State (Independent Charge) for Youth Affairs and Sports Shri Sarbananda Sonowal has said that the 15thNational Para Athletics Championship was conducted by the Uttar Pradesh Paralympic Association from 20th to 22nd March, 2015 at Ghaziabad, U.P. under the aegis of Paralympic Committee of India (PCI), the National Sports Federation (NSF) for Para- Sports. In a written reply in the Rajya Sabha today Shri Sonowal said, there were media reports about the pathetic infrastructure at the venue and lack of basic amenities for the athletes during the entire period of the event. Sports Authority of India (SAI) conducted an enquiry and submitted its report to the Ministry. As per the report, the event was organised at the Janhit Para Sports Academy, Govindpuram, Ghaziabad (U.P.) which did not have facilities for conduct of a national championship and also lacked allied facilities required for differently-abled athletes such as ramps, disabled-friendly toilets, lodging facilities, etc. There was total lack of planning in conceptualisation and conduct of the event. The Minister said, based on the report submitted by SAI, a show-cause notice to PCI was issued on 16-04-2015. The Government received letter dated 15-04-2015 from the International Paralympic Committee (IPC) suspending PCI with immediate effect for an unlimited period of time. Keeping in view the serious complaints from different quarters including players and media, alleging poor management in the conduct of the 15th National Para Athletics Championship, 2015, enquiry report submitted by SAI and suspension of PCI by the concerned International Federation, the Government suspended the recognition given to PCI vide order dated 22-04-2015 with immediate effect.